Hello guys! It’s been a while since my last post! 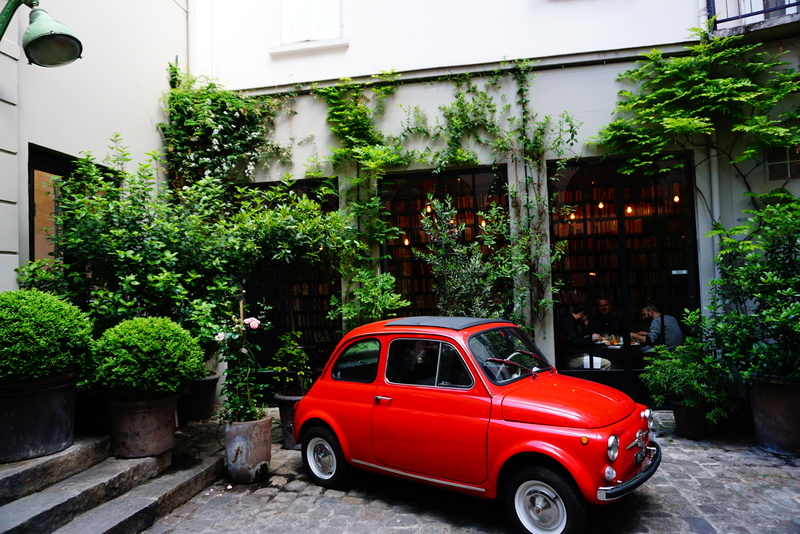 In our previous trip to Paris last year, we were so busy visiting the museums and all the famous sites (oh well, that was our first ever holiday in Paris… and how could we give up the Eiffel, Notre Dame Cathedral and The Louvre etc), I had to give the Merci a miss due to time constraint. 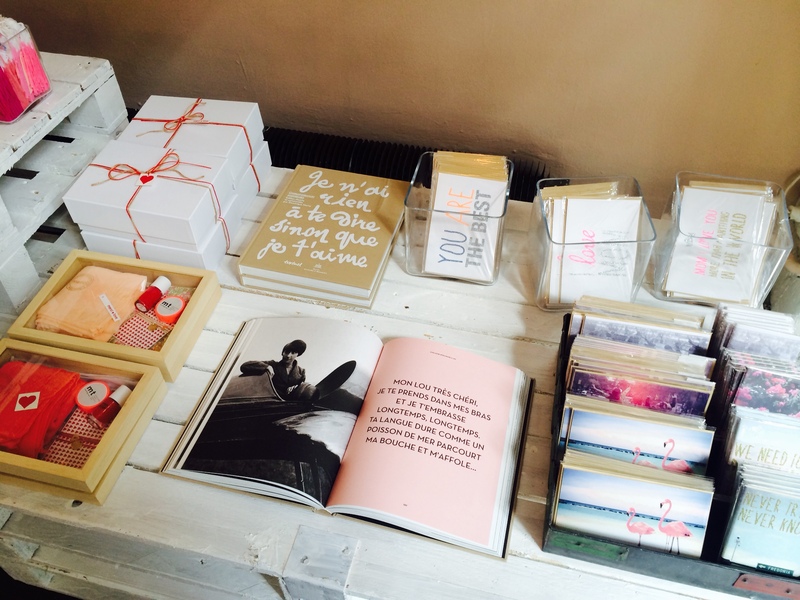 Second visit to Paris, we were much more relaxed this time, and finally made our way to the well known Merci concept store located in the heart of the trendy neighbourbood of le Haut Marais. 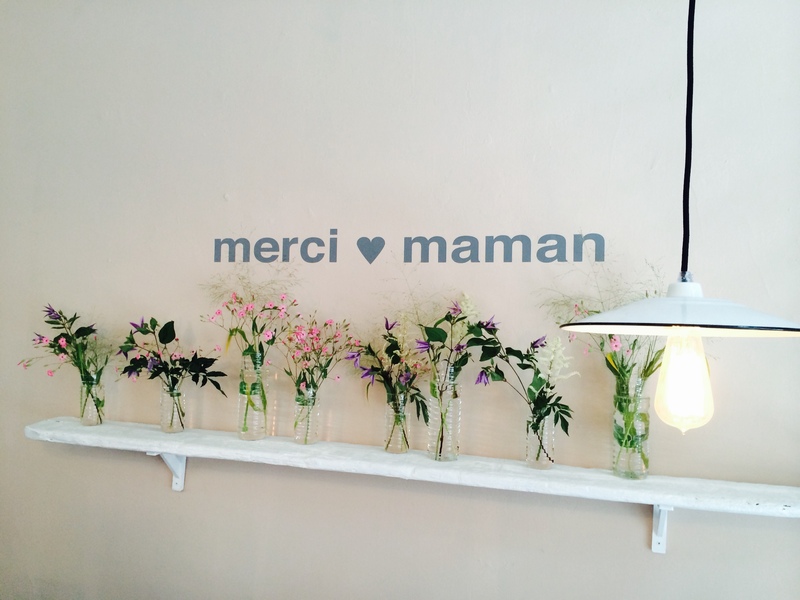 Merci is a general goods store founded by Bernand and Marie-France Cohen (the couple behind the luxury children’s clothing brand Bonpoint). 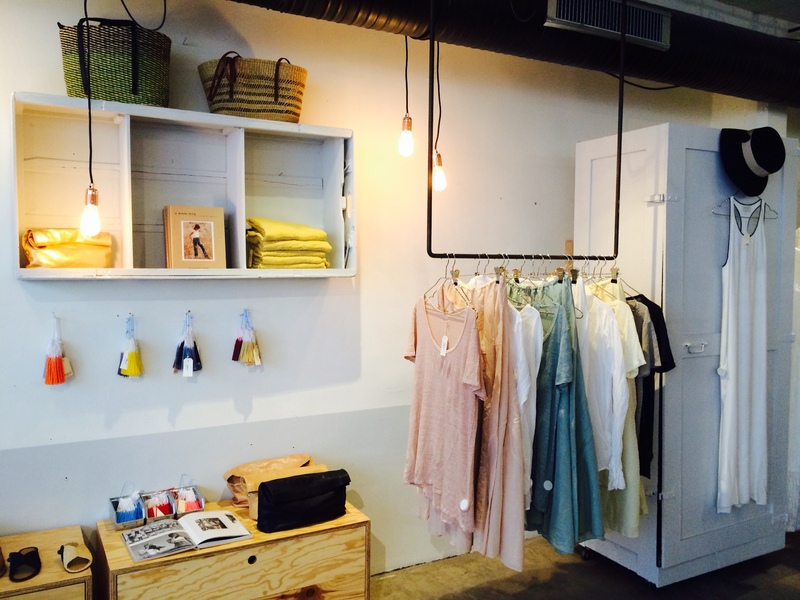 It is a charitable concept store, which all the proceeds are going to children charities in Madagascar. 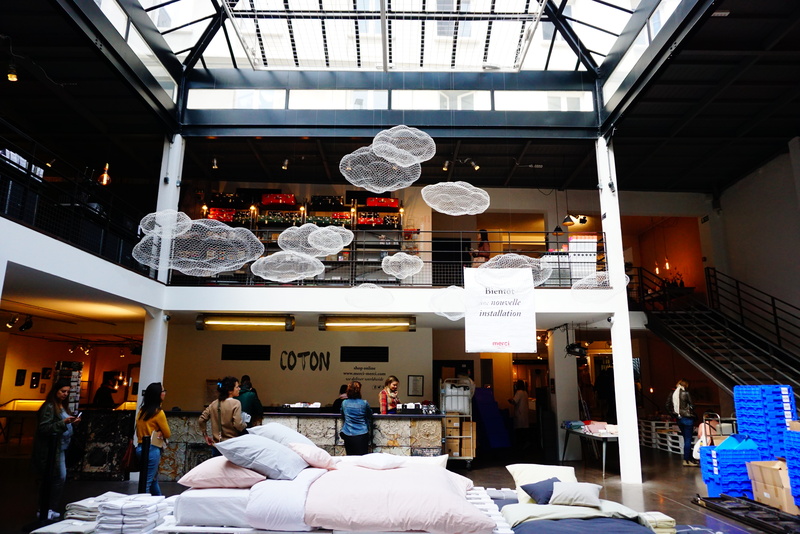 The store was opened in 2009, housed in a sunlit lofty building converted from an old wallpaper factory and has since listed as one of the top places to visit in any kind of Paris design guide. 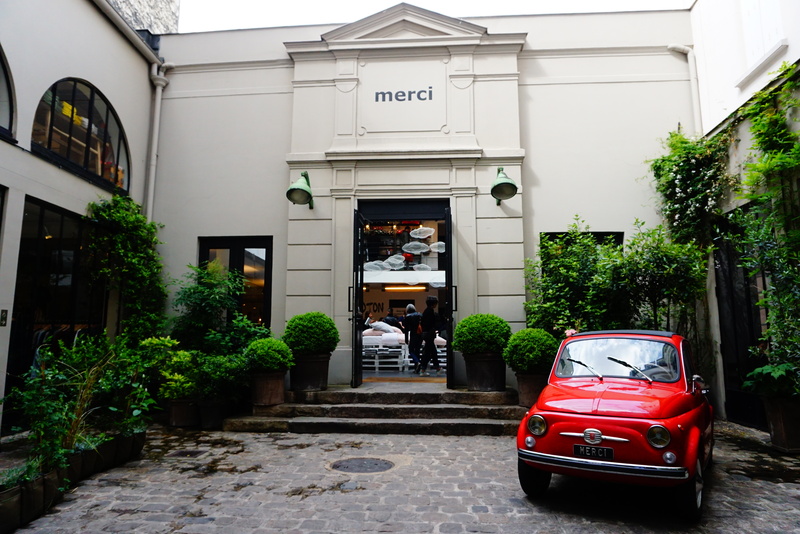 I have probably seen a million pictures of Merci store in Pinterest and read numerous blog posts about this chic, eclectic store, but still felt really excited when I saw the iconic red fiat in the courtyard! 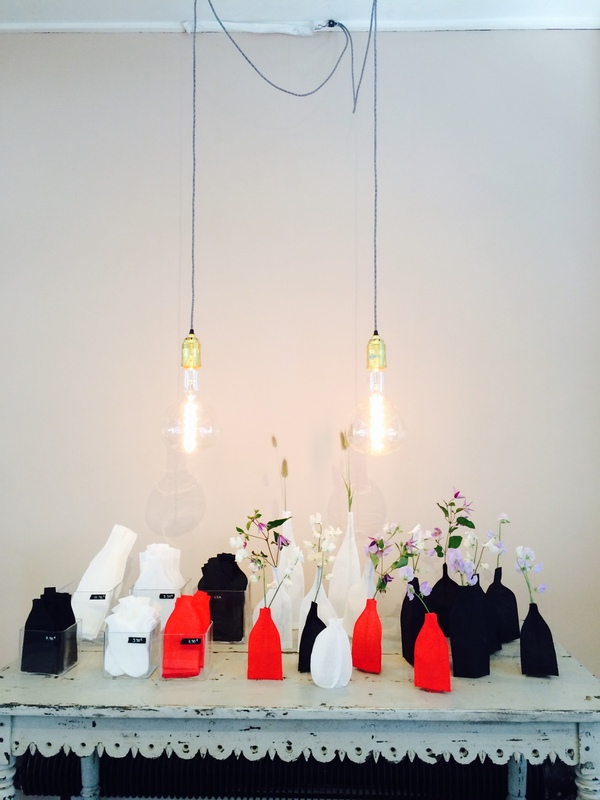 Walking through the paved courtyard and stepping into the store, you’ll find a rotating exhibition. 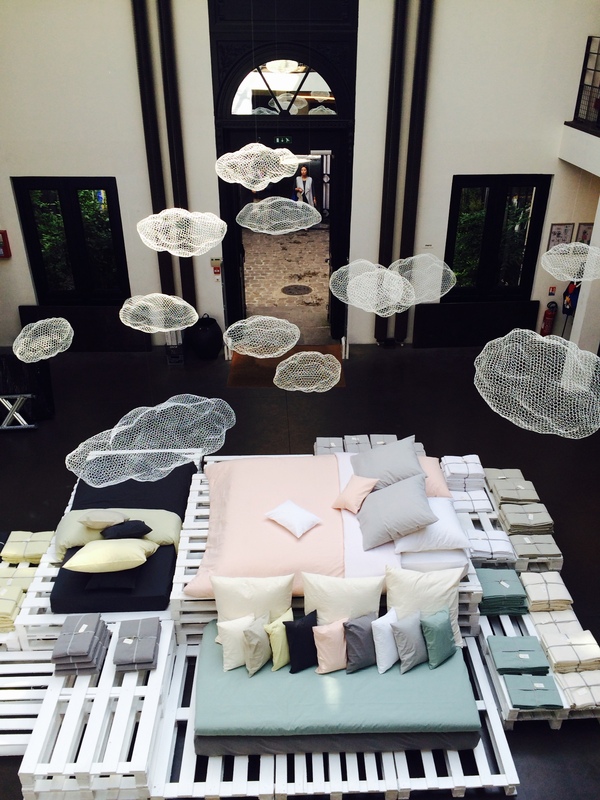 Right now they are having an installation of cloud-like structures, floating above the collection of household cotton sheets. It was really very pretty! The ground floor and the half floor up has menswear, womenswear and accessories; as well as the Aesop and Annick Goutal boutique.